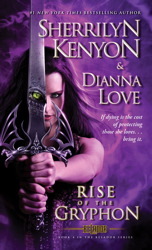 The 2013 RWA Conference Review, by NYT bestseller Dianna Love! The first thing I noticed was a sizzle of excitement in the air. In recent years, the downward-trending economy had left a noticeable mark on the RWA (Romance Writers of America) annual conference, with discussions of tighter budgets, fewer book deals being made, and glum faces from writers who did not hear encouraging news. But this year I was constantly congratulating writers, agents and editors who shared news of their “gets” during this conference. The tone was definitely upbeat, especially for the attendees. I’m generally pretty busy at any RWA conference, but this year felt crazy busy. Wednesday night kicked off with the massive literacy signing in a banquet room that had tall ceilings and glass windows, so we had a front row seat to one of Atlanta’s more enthusiastic thunderstorms. I loved it, but most of all I loved interacting with all the readers who braved that weather to come out and meet their favorite authors. 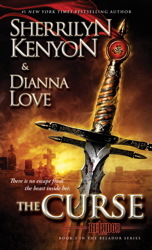 Thanks to the terrific Pocket team, I had plenty of copies of The Curse (Book 3 in the Belador series) to sign for avid fans who made my two hours blow by in a blink. I was so flattered by fans who had traveled from Florida, North Carolina, and Tennessee to see me. There is nothing more endearing than meeting someone who shares a love for your characters. It was a good thing I brought some special swag for those who came by my table looking for copies of Rise Of The Gryphon, because I had to tell them it would not be out until July 30th! I had wonderful RITA®-finalist authors on each side of me who were so sweet about the constant crowd. I attended quite a number of workshops, some packed to standing-room-only capacity while others had a more moderate attendance, but the mood was upbeat and everyone was eager to learn. It seemed as though every time I turned around, I was running into an editor or agent I’d met over the years, unlike when you first start out as an author and never see them 🙂 . None were more fun than our own Lauren McKenna, Micki Nuding, and Abby Zidle, who always manage to turn every Pocket dinner into a party. With a last minute adjustment that Pocket publicist Jean Anne Rose handled with her ‘usual zen’ (as our amazing publisher, Louise Burke, described it), we ended up in a perfect location for dinner—the wine cellar at Rathbun’s. Louise is always letting us—her authors— know how much we mean to her, but that intimate dinner each year is especially memorable. On top of that, Louise is a lot of fun. I won’t share the plan that hatched at our table. It’s probably for the best when some things don’t pan out. That’s all I’m sayin’. The Pocket signing on Friday was outstanding. I had two cases of Rise Of The Gryphon! (Did I mention how much I love my editor, Lauren McKenna, and the Pocket staff?) It took me a minute to realize it was the new book I was signing, that hadn’t yet been released. I quickly sent told Twitterland about the unexpected book they could get their hands on. It didn’t take long to sign all those! When award night rolled around, I was particularly excited because I had friends up for awards and I was presenting one myself. As a former Golden Heart winner and RITA® Award winner, I’ve had the pleasure of doing this a couple of times and it never gets old. I presented the Golden Heart for Romantic Suspense, a genre near and dear to my heart. Pocket had a big night taking home the gold, but I’ll let those authors share their news (waving at Kresley and Laura). After the ceremony ended, I made my rounds to congratulate everyone, then dashed out in my party clothes to hurry home. My husband had been gone all week, too. Much as I love hanging with my friends, I was excited to head home to my own personal hero—and take off those heels. 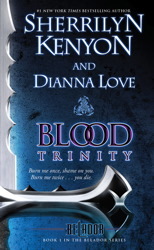 Dianna Love is the New York Times bestselling co-author of the sizzling Belador paranormal romance series. Be sure to check back with XOXO on Friday 8/2 for a special sneak peek excerpt of Rise of the Gryphon, the newest book in the Belador series, on sale Tuesday 7/30! Atlanta's always been hot, but now it's become a battlefield between human and demon. Evalle Kincaid walks the line between the two as she tries to stop the coming apocalypse. The clock is ticking and Atlanta is about to catch fire. . . . In this explosive new world of betrayals, the only free Alterant faces an impossible task: recapture three dangerous escaped creatures before they slaughter more humans . . . or her. The safety of innocent humans rides on Evalle Kincaid's shoulders--but how does she rescue mankind, when the only person she can ask for help wants to see her dead? Evalle Kincaid will fight to the death for her supernatural friends. 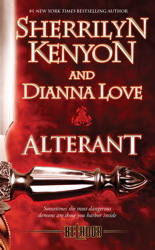 But when this tough-as-nails heroine reveals her darkest secret, who among those she had trusted will be left standing? With death breathing down her neck, outcast Belador, Evalle, is forced to embrace her destiny . . . but at what price?